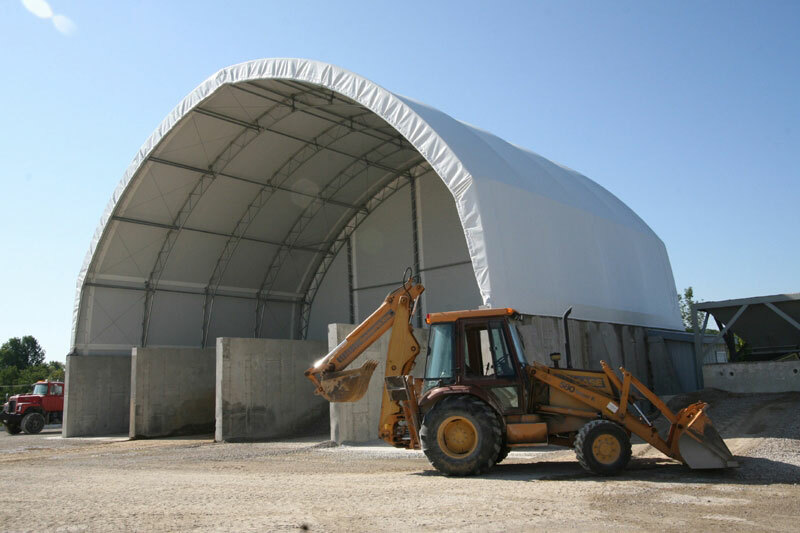 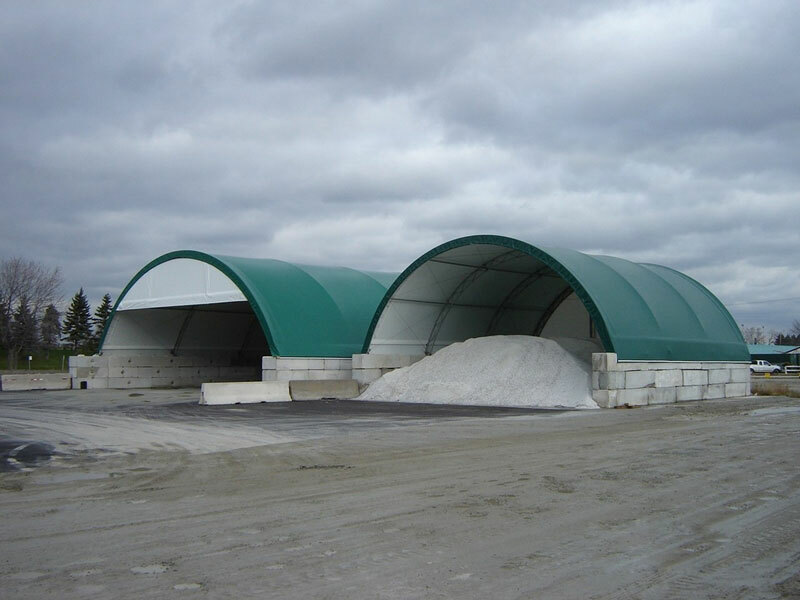 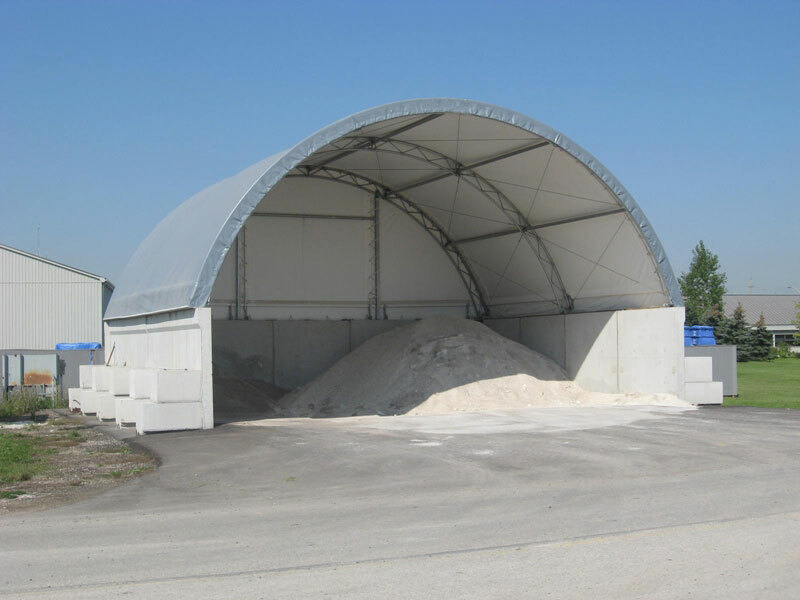 Our Atlas series of fabric covered truss structures is the classic design and look of fabric covered structures. 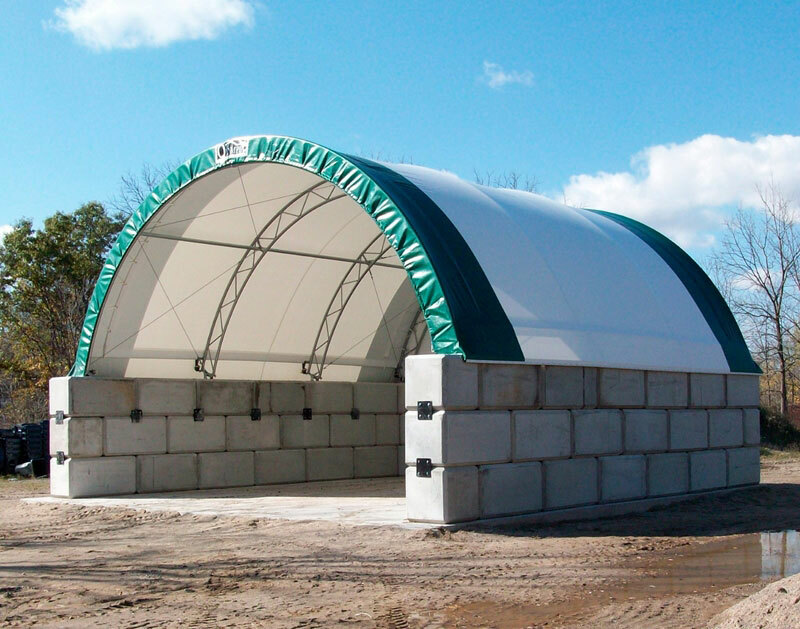 The Atlas series has broad appeal from agricultural and institutional …to commercial and industrial application. 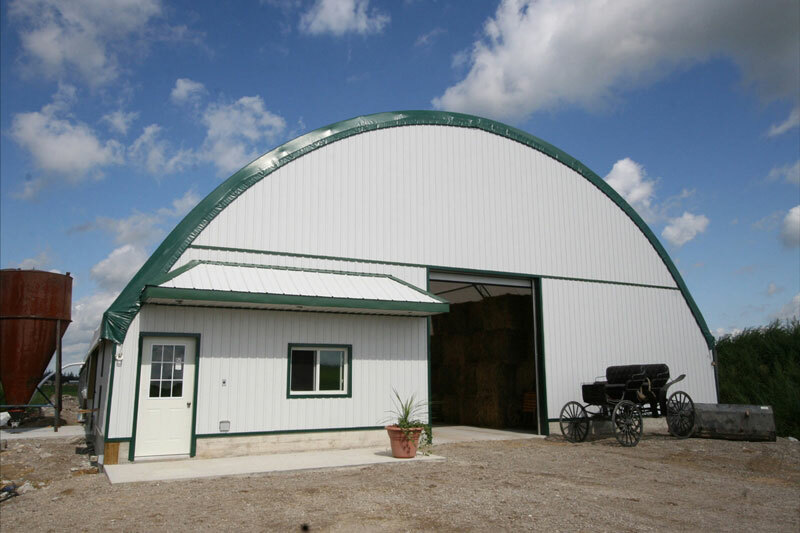 Mounting and anchoring designs are easily engineered for post or wall, as well as ground mounting. 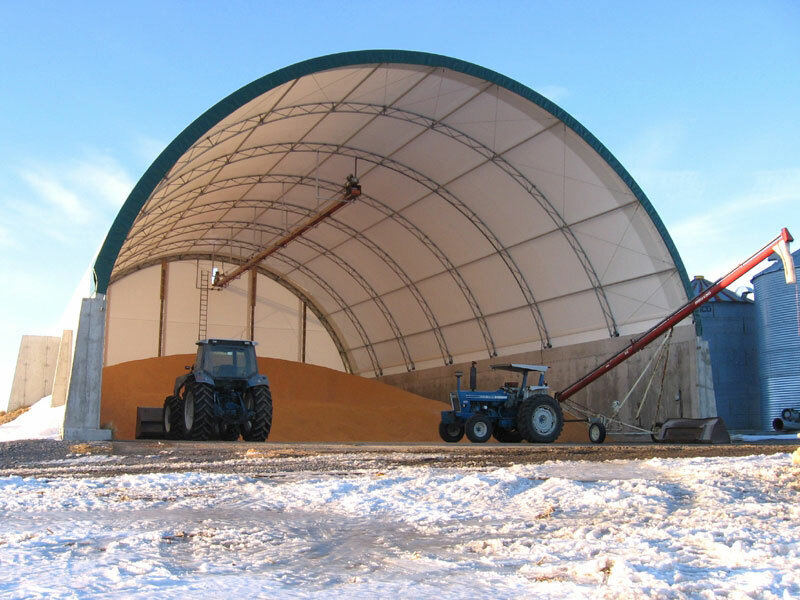 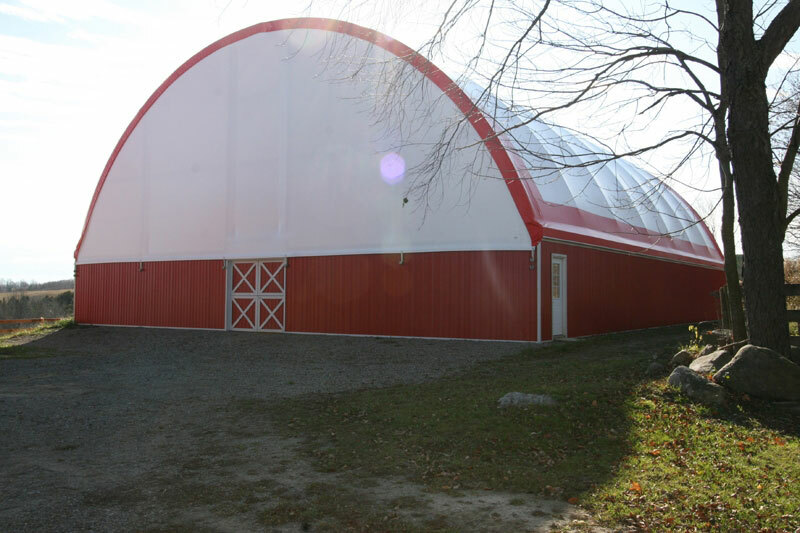 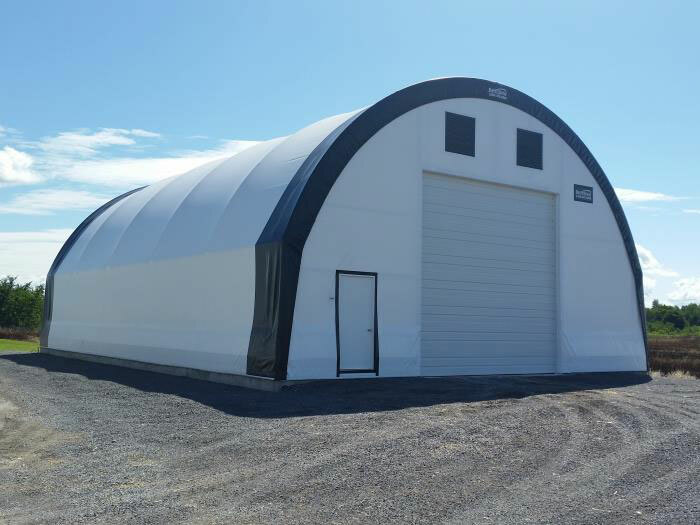 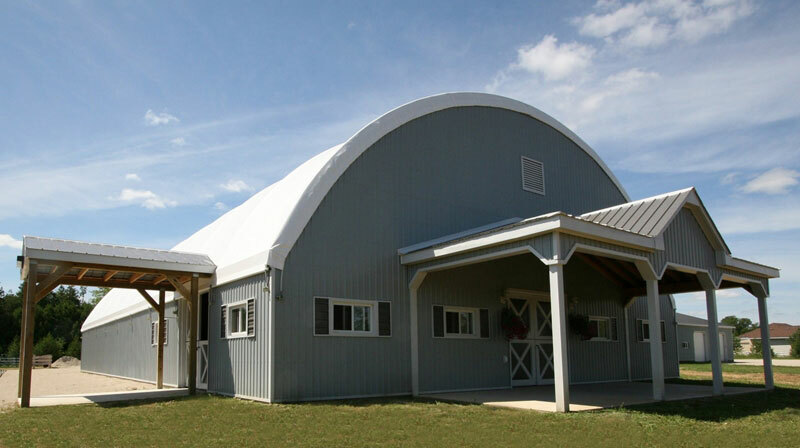 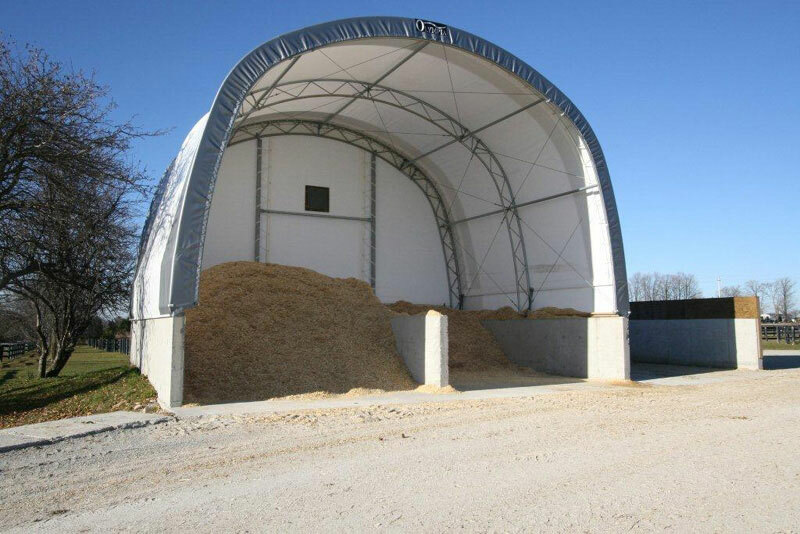 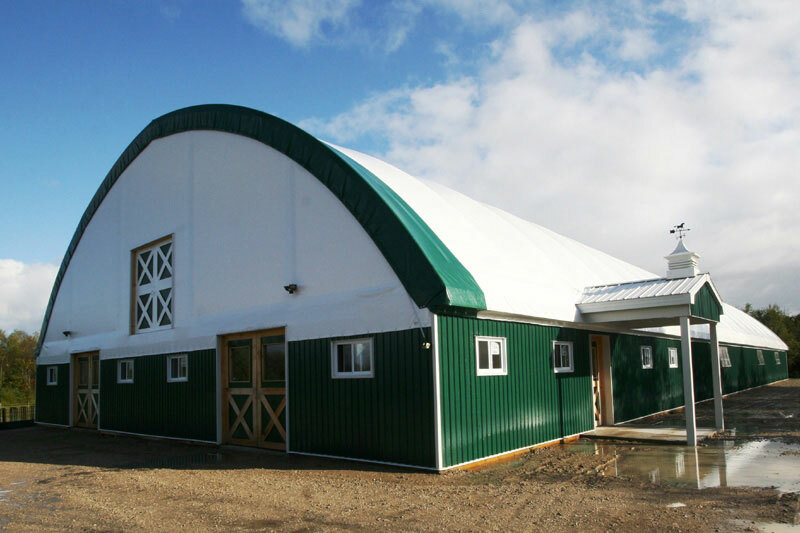 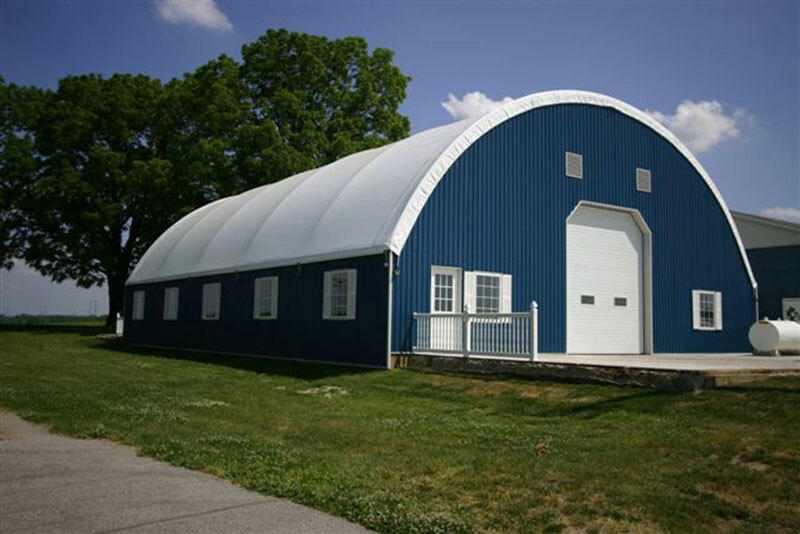 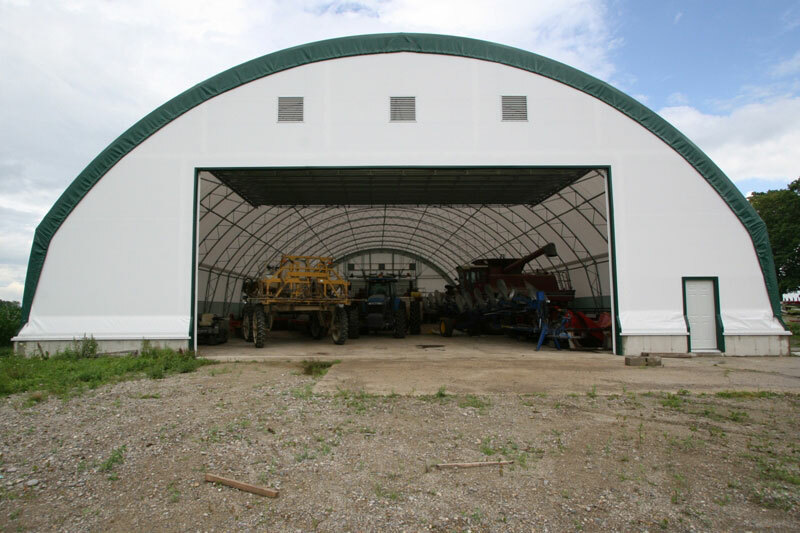 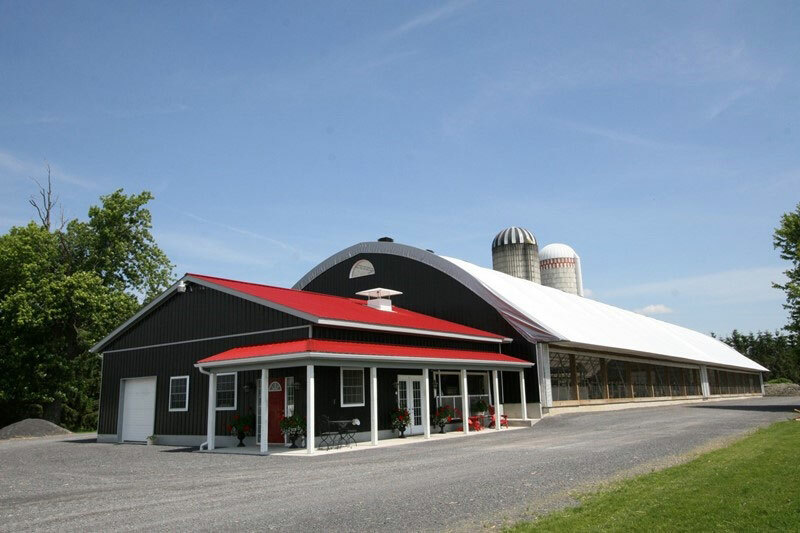 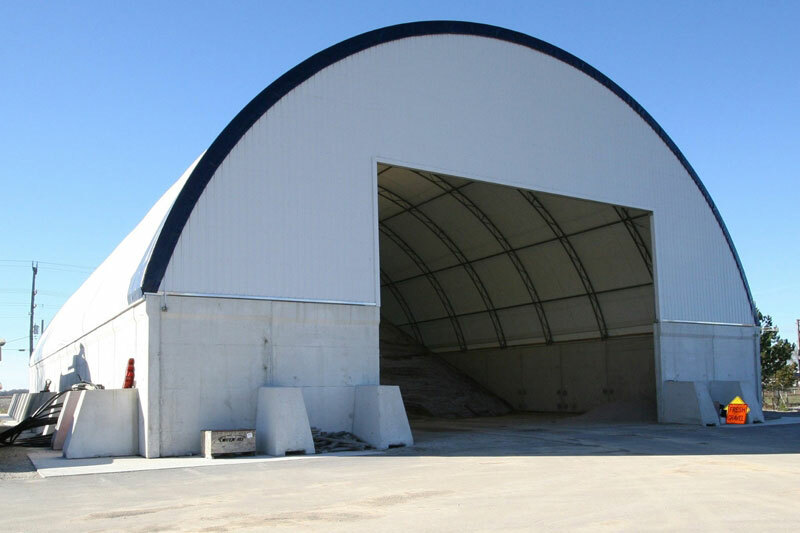 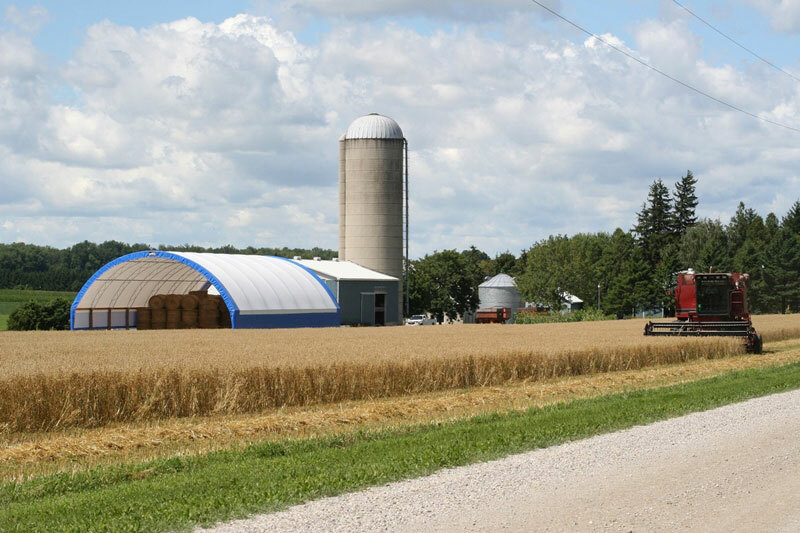 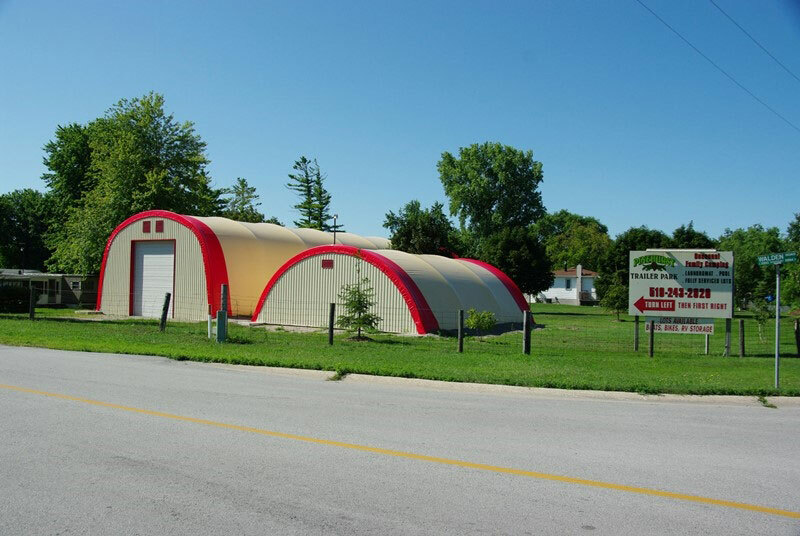 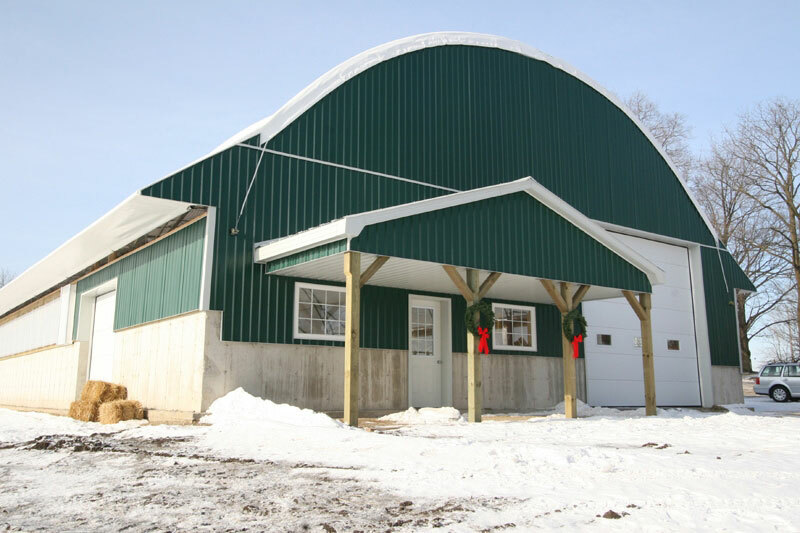 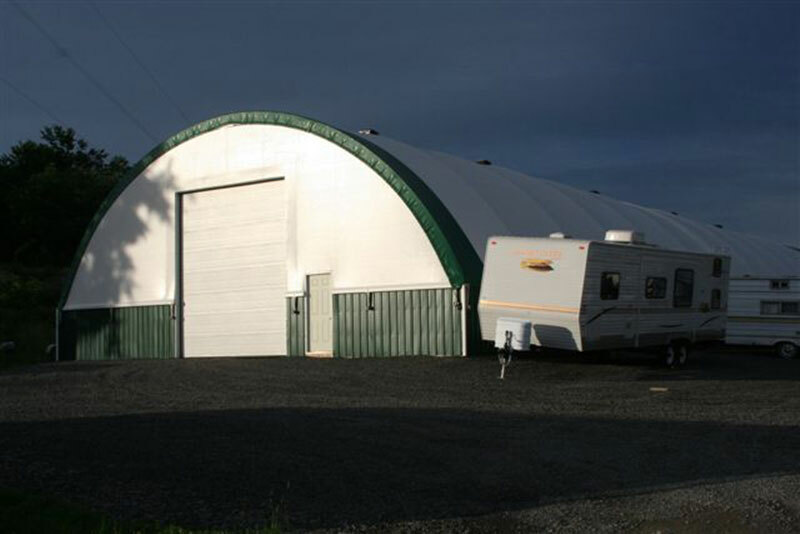 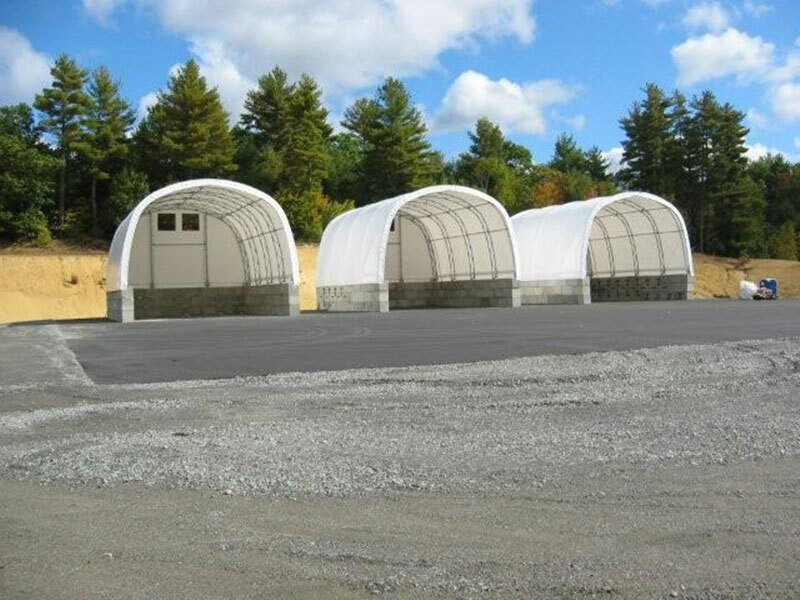 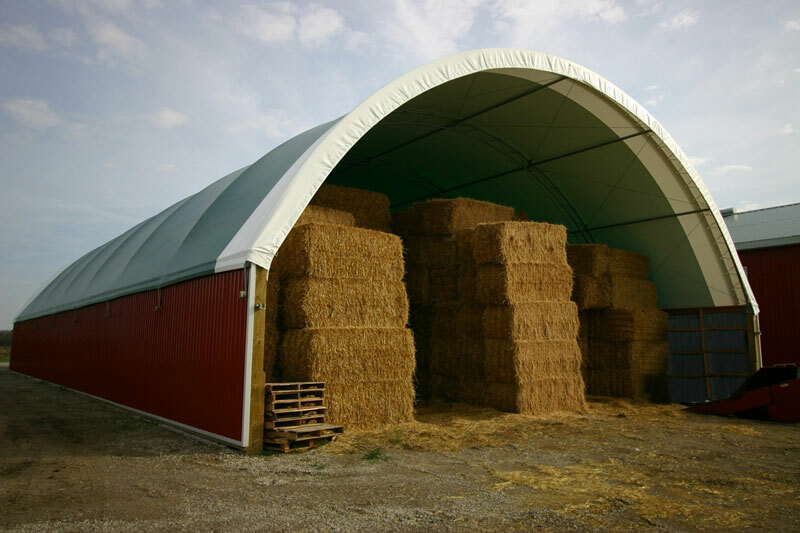 Given the ease of installation, it stands to reason the ‘Atlas’ series has established fabric covered truss buildings as a mainstay in the North American market and are still one of the most popular built styles today. 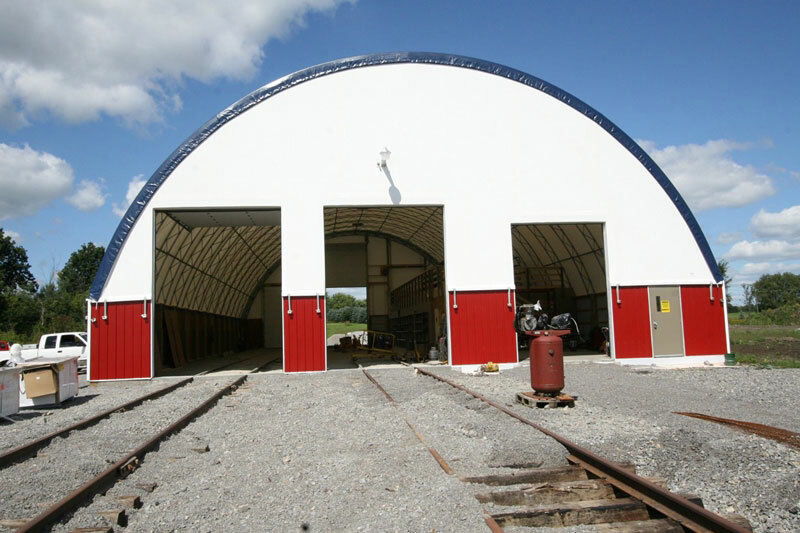 The advantage of the steel trusses and framework being ‘hot-dipped galvanized’ after fabrication and welding ensure the structural integrity and longevity of these work-horse buildings. 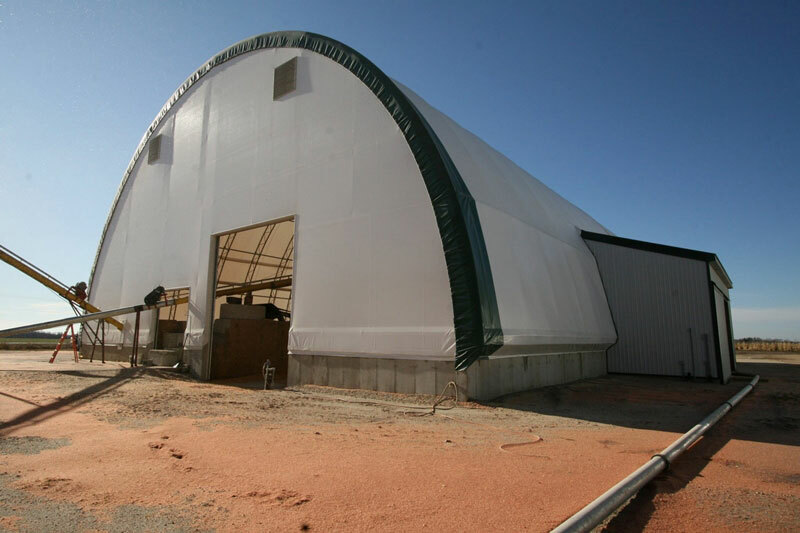 The high light translucency of the durable UV stabilized woven polyethylene fabric provides a well-lite building interior and in many instances, eliminates the need for expensive lighting systems. 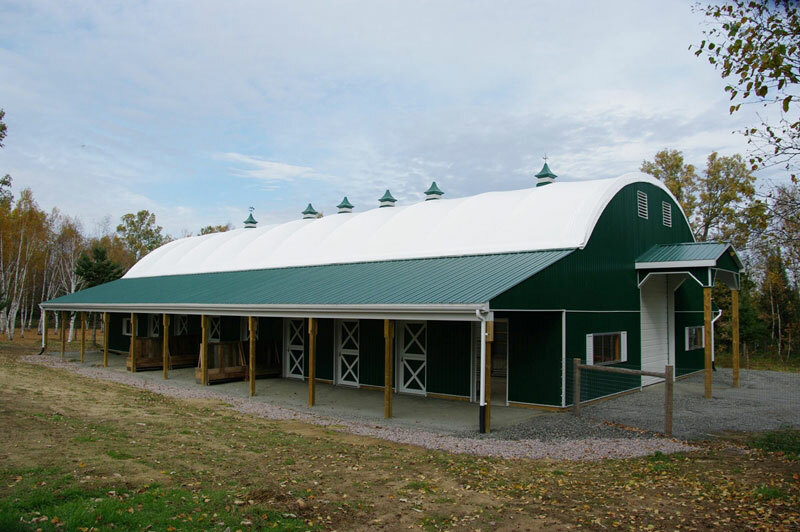 The combined advantages of the design specific ‘hot-dipped galvanized’ truss frame and the durable high light transmission woven fabric cover provides an ideal environment for both human and livestock activity….as well as a multitude of storage applications. 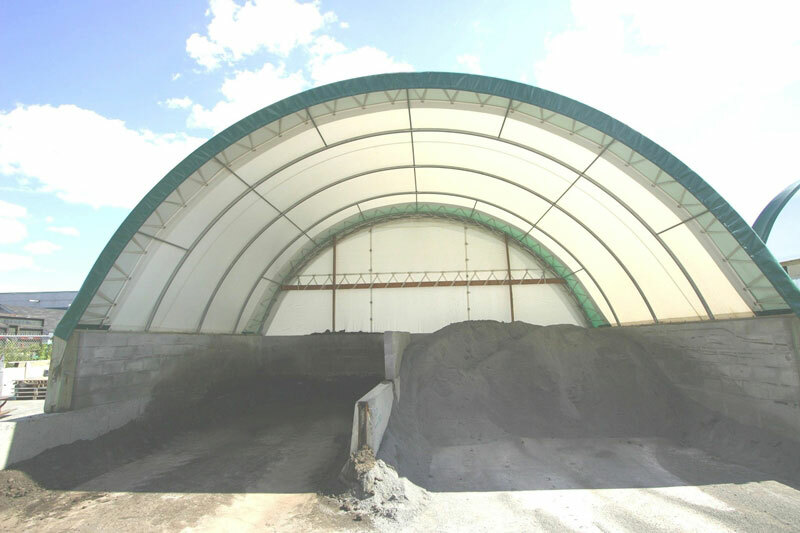 Read More Show Less !